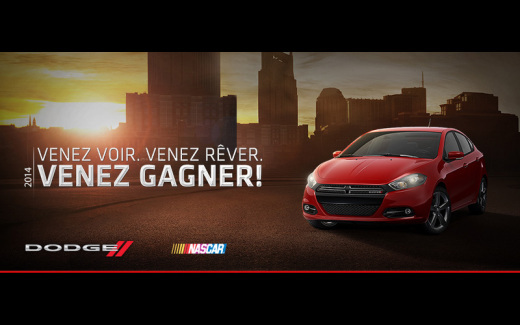 The WIN A 2016 Toyota Camry Contest from HOME HARDWARE (the « Contest ») is intended to be conducted in Canada only and shall be construed and evaluated according to applicable Canadian law. No purchase is necessary to participate. Participants must have reached age of majority at the time of entry. Void in whole or part where prohibited by law. Entry in this Contest constitutes acceptance of these contest rules (the « Contest Rules »). SPONSOR. The Contest sponsor is Home Hardware Stores, Limited (“Home Hardware” or the “Sponsor”) with its head office located at 34 Henry Street West, St. Jacobs, Ontario N0B 2N0. Employees and their immediate families (including those with whom they are domiciled) of all Home Hardware Stores Limited (“Sponsor”), Home Hardware Store owners, and each of their respective subsidiaries, affiliates, directors, officers, governors, agents, prize suppliers, their advertising and promotional agencies, employees of Toyota Canada Inc., and any other individual or entity involved in the development, production, implementation, administration, judging, or fulfillment of the Contest (collectively, the « Releasees ») are not eligible to enter the Contest. For purposes of this Contest, « immediate family members » shall include the mother, father, brothers, sisters, daughters, sons, partner or spouse of an individual (regardless of where any such « immediate family member » resides). NO PURCHASE NECESSARY. There is no purchase necessary to enter the Contest. Enter using the method of entry outlined below. No Entries will be accepted by any other means. For the purposes of this Contest and these Contest Rules, an Entry shall include completion of the Entry Form, as the term is defined herein. The contest entry form (the « Entry Form ») will be available through click through/landing pages displayed after clicking on banner advertisements and will run randomly on various websites such as Yahoo, Google, Facebook or Cue Digital advertising networks. 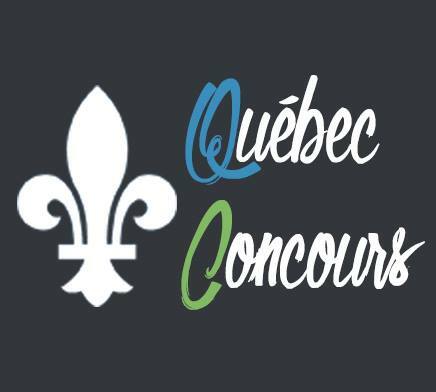 To enter during the Contest Period you must sign up to receive e-mails from the Contest Sponsor by fully completing the online entry and consent form (the « Entry Form ») . You will be required to fill in your full name, email address, and postal code. Once completed click « submit » and you will receive one (1) entry in to the Contest. All fields on the Entry Form are mandatory, unless indicated as optional. Entries must be completed and submitted by the entrant him/herself. Limit one (1) Entry per person during the Contest Period. To be clear, an Entry shall constitute consent by the entrant to receiving e-mails from the Contest Sponsor featuring newsletters, promotions and other information. Entrant will be able to unsubscribe from receiving such messages at any time. Entries must be received during the Contest Period. Entries will be declared invalid if they are late, illegible, incomplete, damaged, irregular, mutilated, forged, garbled or mechanically or electronically reproduced. No communication or correspondence will be exchanged with entrants except with those selected for a Prize (defined below). There is a limit of one (1) Entry per person during the Contest Period, regardless of the method of entry. If it is discovered by the Sponsor (using any evidence or other information made available to or otherwise discovered by the Sponsor) that any person has attempted to: (i) obtain more than one (1) Entry; and/or (ii) used multiple names, identities, email addresses and/or any automated, macro, script, robotic or other system(s) or program(s) to enter or otherwise participate in or to disrupt this Contest; then he/she may be disqualified from the Contest in the sole and absolute discretion of the Sponsor. Your Entry may be rejected if (in the sole and absolute discretion of the Sponsor) the Entry Form is not fully completed with all required information and submitted and received in accordance with these Rules during the Contest Period. Employees of Home Hardware Stores Limited, Toyota Canada, Bumpgen Inc. and each of their respective officers, directors, agents, representatives, successors and assigns (collectively, the “Released Parties”) are not responsible for late, lost, misdirected, delayed, incomplete or incompatible Entries (all of which are void). Facsimiles and/or photocopies of Entry Forms will not be accepted. All Entries are subject to verification at any time and for any reason. The Sponsor reserves the right, in its sole and absolute discretion, to require proof of identity and/or eligibility (in a form acceptable to the Sponsor – including, without limitation, government issued photo identification): (i) for the purposes of verifying an individual’s eligibility to participate in this Contest; (ii) for the purposes of verifying the eligibility and/or legitimacy of any Entry and/or other information entered (or purportedly entered) for the purposes of this Contest; and/or (iii) for any other reason the Sponsor deems necessary, in its sole and absolute discretion, for the purposes of administering this Contest in accordance with the letter and spirit of these Rules. Failure to provide such proof to the complete satisfaction of the Sponsor within the timeline specified by the Sponsor may result in disqualification in the sole and absolute discretion of the Sponsor. The sole determinant of the time for the purposes of this Contest will be the Sponsor’s Official Clock(s). There will be one (1) prize (the “Prize”) available to be won consisting of a 2016 Toyota Camry XSE V6 (STD Pkg in Ruby Flare Pearl) with an Approximate Retail Value of $34,465 CAD. Prize includes destination/freight charges and all applicable fees and taxes. Note: we will not allow the individual to select the colour. IMPORTANT NOTE: THE APPROXIMATE RETAIL VALUE OF THE PRIZE NOTED ABOVE IS CURRENT AS OF SEPTEMBER, 2015. UNDER NO CIRCUMSTANCES WHATSOEVER WILL ANY DIFFERENCE BETWEEN THE ACTUAL RETAIL VALUE OF THE PRIZE AS AT THE TIME OF PRIZE FULFILMENT AND THE APPROXIMATE RETAIL VALUE OF THE PRIZE NOTED ABOVE BE AWARDED. FOR THE AVOIDANCE OF ANY DOUBT, THE PRIZE CONSISTS OF THE VEHICLE AND NOT THE ACTUAL VALUE OF THE VEHICLE. Without limiting the generality of the foregoing, the following general conditions apply to the Prize: (i) Prize must be accepted as awarded and is not transferable, assignable or convertible to cash (except as may be specifically permitted by Sponsor in its sole and absolute discretion); (ii) no substitutions except at Sponsor’s option; (iii) Sponsor reserves the right at any time to substitute the Prize or a component thereof for any reason with a prize or prize component(s) of equal or greater value, including, without limitation, but solely at the Sponsor’s sole discretion, a cash award; (iv) colour and other specifics of the Prize will be at the sole and absolute discretion of the Sponsor and subject to availability; (v) manufacturer’s standard warranty applies to the Prize; (vi) upon notification, the confirmed Prize winner will be required to personally take delivery of the Prize from a Toyota Dealership within Canada reasonably close to his/her place of residence in Canada as determined by Sponsor, in its sole and absolute discretion, and will be required to present adequate personal identification (in a form acceptable to the Sponsor – including, without limitation, government issued photo identification); (vii) Prize will not be released unless and until the confirmed Prize winner first shows proof (in a form acceptable to the Sponsor) of having a valid driver’s license (equivalent to a full “G” class license in Ontario) in the province/territory in which he/she resides and proof (in a form acceptable to the Sponsor) of satisfactory insurance; (viii) confirmed Prize winner is solely responsible for all expenses that are not included in the Prize description above, including, but not limited to, registration and license fees, insurance, additional accessories and all other costs associated with: (a) obtaining a valid driver’s license, license plates, registration, insurance and/or fuel; and/or (b) taking delivery of the Prize. On December, 17 2015 (the “Draw Date”) in Toronto, ON at approximately 2:00 p.m. ET, one (1) eligible entrant will be selected by random draw from among all eligible Entries submitted and received in accordance with these Rules during the Contest Period. The odds of being selected as a potential winner depend on the total number of eligible Entries received by the Sponsor during the Contest Period. The Sponsor or its designated representative will make a minimum of three (3) attempts to contact the eligible winner (using the information provided on the Entry Form) within ten (10) business days of the Draw Date. If the eligible winner cannot be contacted within ten (10) business days of the Draw Date, or if there is a return of any notification as undeliverable; then he/she may, in the sole and absolute discretion of the Sponsor, be disqualified (and, if disqualified, will forfeit all rights to the Prize) and the Sponsor reserves the right, in its sole and absolute discretion and time permitting, to randomly select an alternate eligible entrant from among the remaining eligible Entries submitted and received in accordance with these Rules during the Contest Period (in which case the foregoing provisions of this section shall apply to such newly selected eligible winner). BEFORE BEING DECLARED THE CONFIRMED PRIZE WINNER, the eligible winner will be required to: (a) correctly answer a mathematical skill-testing question without mechanical or other aid (which may, in the sole and absolute discretion of the Sponsor, be administered online, by email or other electronic means, by telephone, or in the Sponsor’s form of declaration and release); and (b) sign and return within ten (10) business days of notification the Sponsor’s declaration and release form, which (among other things): (i) confirms compliance with these Rules; (ii) acknowledges acceptance of the Prize (as awarded); (iii) releases the Released Parties from any and all liability in connection with this Contest, his/her participation therein and/or the awarding and use/misuse of the Prize or any portion thereof; and (iv) agrees to the publication, reproduction and/or other use of his/her name, address, voice, statements about the Contest and/or photograph or other likeness without further notice or compensation, in any publicity or advertisement carried out by or on behalf of the Sponsor in any manner whatsoever, including print, broadcast or the internet. If the eligible winner: (a) fails to correctly answer the skill-testing question; (b) fails to return the properly executed Contest documents within the specified time; (c) cannot accept (or is unwilling to accept) the Prize (as awarded) for any reason; and/or (d) is determined to be in violation of these Rules (all as determined by the Sponsor in its sole and absolute discretion); then he/she will be disqualified (and will forfeit all rights to the Prize) and the Sponsor reserves the right, in its sole and absolute discretion and time permitting, to randomly select an alternate eligible entrant from among the remaining eligible Entries submitted and received in accordance with these Rules during the Contest Period (in which case the foregoing provisions of this section shall apply to such newly selected eligible winner). All Entries become the property of the Sponsor. This Contest is subject to all applicable federal, provincial and municipal laws. The decisions of the Sponsor with respect to all aspects of this Contest are final and binding on all entrants without right of appeal, including, without limitation, any decisions regarding the eligibility/disqualification of Entries and/or entrants. By participating in this Contest, you are agreeing to be legally bound by the terms and conditions of these Rules. ANYONE DEEMED BY THE SPONSOR TO BE IN VIOLATION OF THE LETTER AND/OR SPIRIT OF THESE RULES FOR ANY REASON IS SUBJECT TO DISQUALIFICATION IN THE SOLE AND ABSOLUTE DISCRETION OF THE SPONSOR AT ANY TIME. By entering the Contest, entrant releases and holds Releasees harmless from and against any and all liability for any injuries, loss or damage of any kind to the entrant or any other person, including personal injury, death, or property damage, resulting in whole or in part, directly or indirectly, from acceptance, possession, use or misuse of any Prize, participation in the Contest, any breach of the Contest Rules, or in any Prize-related activity. The entrant agrees to fully indemnify Releasees from any and all claims by third parties relating to the Contest, including without limitation any claims of infringement of rights to copyright, privacy and/or personality. Sponsor assumes no responsibility or liability for: (a) lost, late, unintelligible/illegible, falsified, damaged, misdirected or incomplete Entries, notifications, responses, replies or any Confirmation and Release, (b) any computer, online, software, telephone, hardware or technical malfunctions that may occur, including but not limited to malfunctions that may affect the transmission or non-transmission of an Entry, (c) any incorrect or inaccurate information, whether caused by website users or by any of the equipment or programming associated with or utilized in the Contest or by any technical or human error which may occur in the administration of the Contest, (d) any error, omission, interruption, deletion, defect, delay in operation or transmission, communications line failure, theft or destruction or unauthorized access to, or alteration of, Entries, (e) any problems, failures or technical malfunction of any telephone network or lines, computer online systems, servers, providers, computer equipment, software, e-mail, players, or browsers, on account of technical problems or traffic congestion on the Internet, at any website, or on account of any combination of the foregoing, (f) any injury or damage to entrant or to any computer related to or resulting from participating or downloading materials in this Contest. Entrant assumes liability for injuries caused or claimed to be caused by participating in the Contest, or by the acceptance, possession, use of, or failure to receive any Prize. Sponsor assumes no responsibility or liability in the event that the Contest cannot be conducted as planned for any reason, including those reasons beyond the control of the Sponsor, such as infection by computer virus, bugs, tampering, unauthorized intervention, fraud, technical failures, or corruption of the administration, security, fairness, integrity or proper conduct of this Contest or the Contest Website. The Sponsor reserves the right, subject only to the approval of the Régie des alcools, des courses et des jeux (the “Régie”) in Quebec, to withdraw, amend or suspend this Contest (or to amend these Rules) in any way, in the event of any cause beyond the reasonable control of the Sponsor that interferes with the proper conduct of this Contest as contemplated by these Rules, including, without limitation, any error, problem, computer virus, bugs, tampering, unauthorized intervention, fraud or failure. Any attempt to deliberately damage any website or to undermine the legitimate operation of this Contest in any way (as determined by Sponsor in its sole and absolute discretion) is a violation of criminal and civil laws and should such an attempt be made, the Sponsor reserves the right to seek remedies and damages to the fullest extent permitted by law. The Sponsor, with the consent of the Régie, reserves the right to cancel, amend or suspend this Contest, or to amend these Rules, in any way without prior notice or obligation, in the event of any accident, printing, administrative, or other error of any kind, or for any other reason whatsoever. Without limiting the generality of the forgoing, the Sponsor reserves the right, in its sole and absolute discretion, to administer an alternate test of skill as it deems appropriate based on the circumstances and/or to comply with applicable law. In addition, each entrant acknowledges that the method of entry for the Contest was for him/her to sign up to receive e-mails containing promotional information from the Contest Sponsor, and by so signing up each entrant has provided consent under the terms of Canada’s Anti-SPAM legislation for the Contest Sponsor to send such commercial messages. By participating in the Contest, entrant agrees that all of Sponsor’s intellectual property, including but not limited to trade-marks, trade names, logos, designs, promotional materials, web pages, source code, drawings, illustrations, slogans and representations used in relation to his Contest are owned by the Sponsor and/or its affiliates. All rights are reserved. Unauthorized copying or use of any copyrighted material or intellectual property without the express written consent of its owner is strictly prohibited. The Sponsor reserves the right, subject only to the approval of the Régie in Quebec, to adjust any of the dates, timeframes and/or other Contest mechanics stipulated in these Rules, to the extent necessary, for purposes of verifying compliance by any entrant or Entry with these Rules, or as a result of any technical or other problems, or in light of any other circumstances which, in the opinion of the Sponsor, in its sole and absolute discretion, affect the proper administration of the Contest as contemplated in these Rules, or for any other reason. These are the official Contest Rules. The Contest is subject to applicable federal, provincial and municipal laws and regulations. The Contest Rules are subject to change without notice in order to comply with any applicable federal, provincial and municipal laws or the policy of any other entity having jurisdiction over the Sponsor. All issues and questions concerning the construction, validity, interpretation and enforceability of the Contest Rules or the rights and obligations as between the entrant and the Sponsor in connection with the Contest shall be governed by and construed in accordance with the laws of the province of Ontario including procedural provisions without giving effect to any choice of law or conflict of law rules or provisions that would cause the application of any other jurisdiction’s laws.